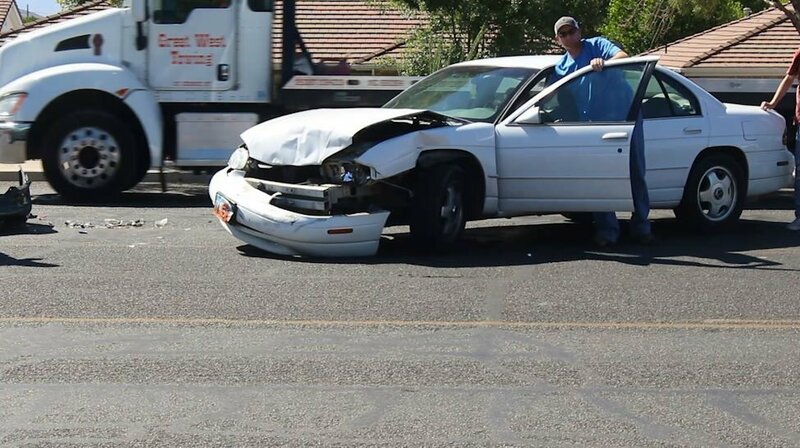 ST. GEORGE – A lunch run didn’t go so well for some teens when their vehicles ended up taking part in an unwanted game of bumper cars on 700 South Thursday morning. 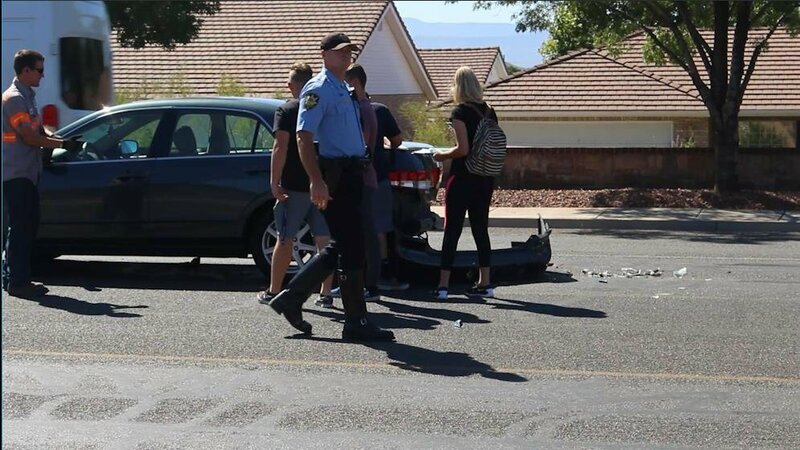 Around 11:15 a.m., students from nearby Dixie High School had been let out for lunch and some were eastbound on 700 South toward River Road, St. George Police officer Dave McDaniel said. Traffic had come to a stop in one of the lanes and two cars filled with teens had come to a complete stop. As for a third car behind them – not so much. The third car crashed into the rear of the second car, which in turn was pushed into the back of the first car. The cars’ occupants only reported receiving some minor bumps and bruises. The same could not be said for at least two of the cars involved. 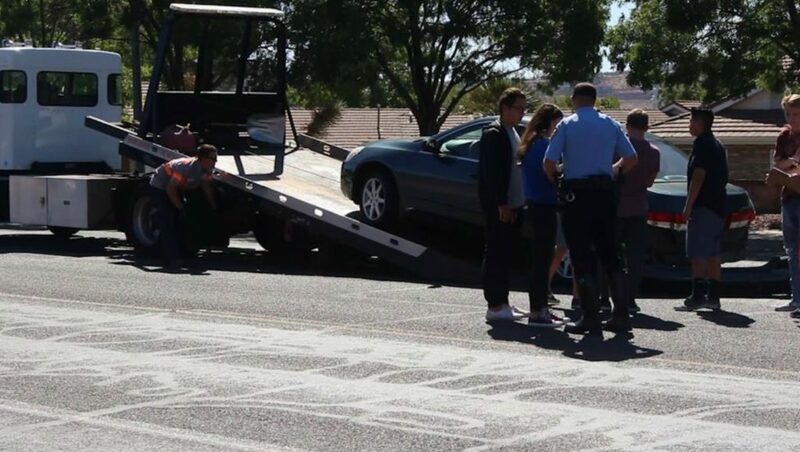 The second car that got sandwiched between the other two was disabled and had to be towed away. The third car that had rammed the second from behind was also disabled, yet pushed out of the roadway, McDaniel said. The driver of the third vehicle was cited for following too close. What are the odds that not a single person in all 3 cars was not LDS?! How do we know they weren’t? Well, obviously, if they were, the article would have listed their position in the church, as well as all their affiliated religious friends, and then blamed a mysterious blue truck for the accident. Well that’s a lot of interesting questions to answer. so this looks like a job for Sheriff anybody home of Mayberry and his side kick Deputy Bob Fife. and maybe playground officer Arcana can direct traffic.